GlaxoSmithKline has agreed to pay fines totaling $3 billion for using illegal tactics to promote two widely used antidepressants and for withholding safety-related data on a diabetes drug. The fine, announced yesterday, is the largest ever levied againt a pharmaceutical company. The federal and several state governments had sued the company for having its sales representatives promote Paxil and Wellbutrin for uses not approved by the Food and Drug Administration (FDA). In the case of Paxil, the charges involved promoting its use for children under age 18; the Wellbutrin violations concerned marketing that suggested it was effective in weight loss and treating sexual dysfunction and substance abuse. The third medication involved in the case was the diabetes drug Avandia and charges that GlaxoSmithKline did not inform the FDA about data that raised questions about cardiovascular risk. In addition to these criminal charges, the company will also resolve civil liability cases involving misleading claims for Advair, Lamictal, and Zofran and government allegations that the company provided physicians with expensive vacations, high-paid speaking tours, and concert tickets. The acting head of the Justice Department's civil division, Stuart Delery, said "For far too long, we have heard that the pharmaceutical industry views these settlements merely as the cost of doing business. That is why this adminstration is committed to using every available tool to defeat health care fraud." Glaxo CEO Sir Andrew Witty issued a statement saying, "Whilst these [actions] originate in a different era for the company, they cannot and will not be ignored. On behalf of GSK, I want to express our regret and reiterate that we have learnt from the mistakes that were made." 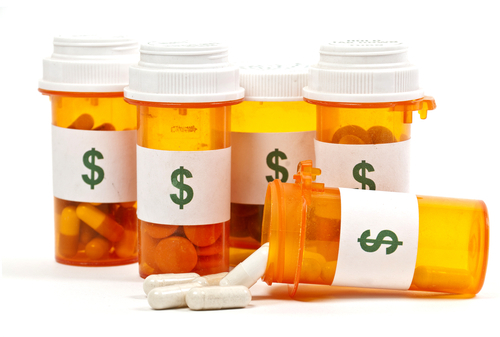 Read about two other drug firms that paid huge fines for illegal marketing of psychiatric medications in Psychiatric News.